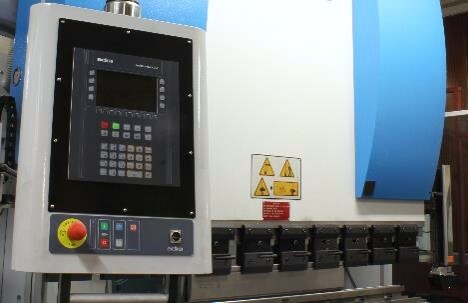 Our two recently installed Guimadira CNC programmable press brakes will further help us to achieve a high degree of consistent accuracy in our press forming of our sheet metal fabricated products. These machines allow us to store pre-programmed settings for each of our many different products. The storage of pre-programmed measurements and controls ensures we can quickly change from job to job and still maintain quality. This saves time and possible operator error as individual information does not need to be input each time we form a product part. 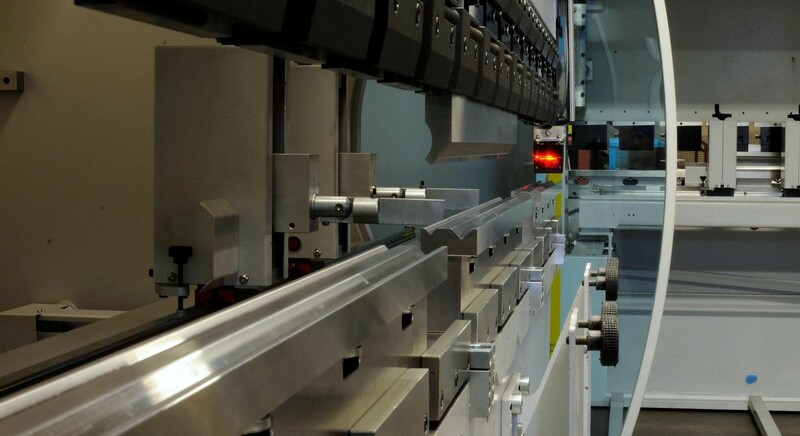 Furthermore, it ensures accuracy from one production batch to the next. The two machines have allowed us to improve our sheet metalwork and fabrication facility here in Nottinghamshire. The CNC programmable nature of the machines allows us to drop CAD data straight from the design stage onto the machine itself. This further increases manufacturing and forming accuracy. Metal forming and bending, is an integral and very important part of sheet metal fabrication at our factory here in Nottinghamshire. 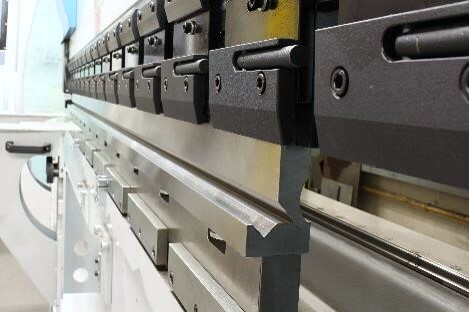 Without the facility to accurately and consistently form sheet metal fabrications we would not be able to achieve the high quality of products required by our customers. A testament to our consistent quality and accuracy is the many repeat order we receive and the longevity of our customer base, some who have been trading with us for over twenty-five years. Our smaller machine is the PM6020 from Guimadira. We have access vast range of equipment at HEC Showman that allow us to manipulate metal in a wide range of ways.